The latest University Land Sale netted $249.8 million for 103,667 acres in West Texas. 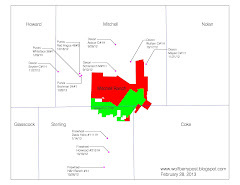 Most of that land lies in the Wolfbone and Wolffork plays in the Permian Basin. These leases equal over $2,400/acre. This is a great sign that companies are still willing to pay top dollar for unproven Permian Basin land.